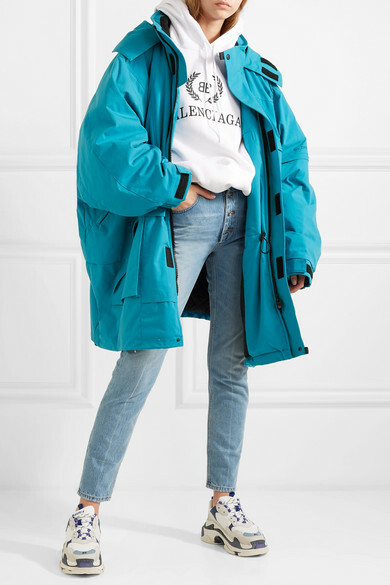 A shot of the model closing Balenciaga's Fall '18 show wearing piled-up parkas quickly went viral on Instagram - a reaction Demna Gvasalia is used to by now. 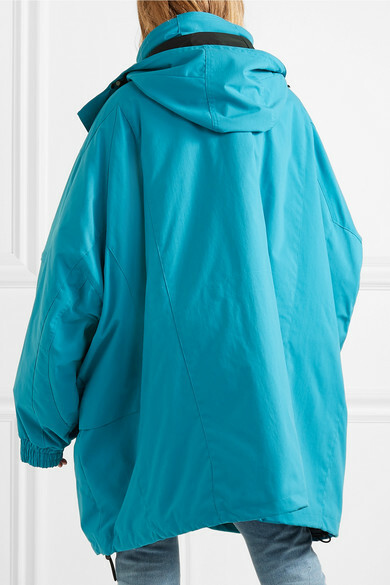 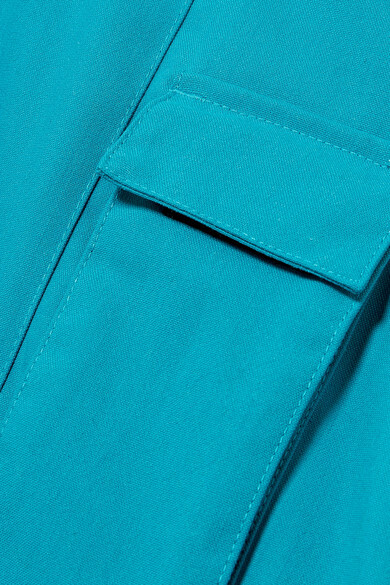 This 'Peacock' blue design was layered over two other coats and a hoodie on the runway, sparking re-posts of Joey wearing all of Chandler's clothes in Friends. 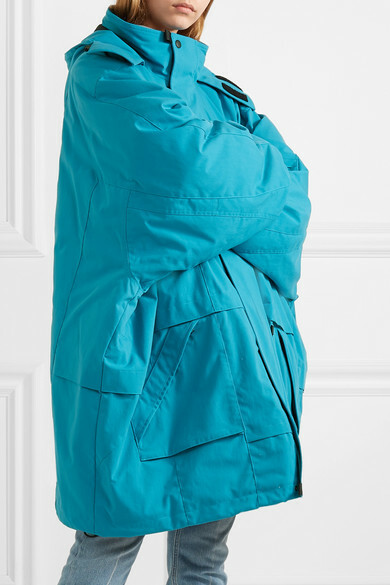 It's made from durable canvas embroidered with the brand's moniker and cut for an oversized fit. 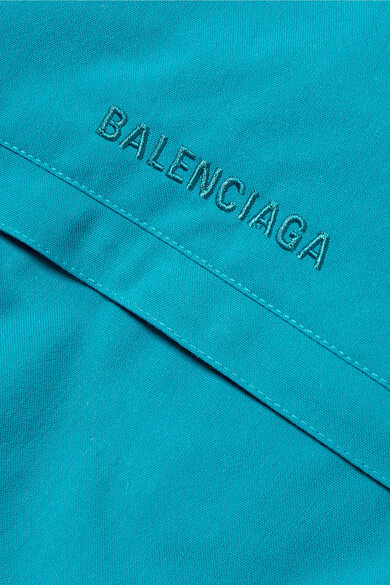 Shown here with: Balenciaga Hooded top, Balenciaga Jeans, Balenciaga Sneakers.